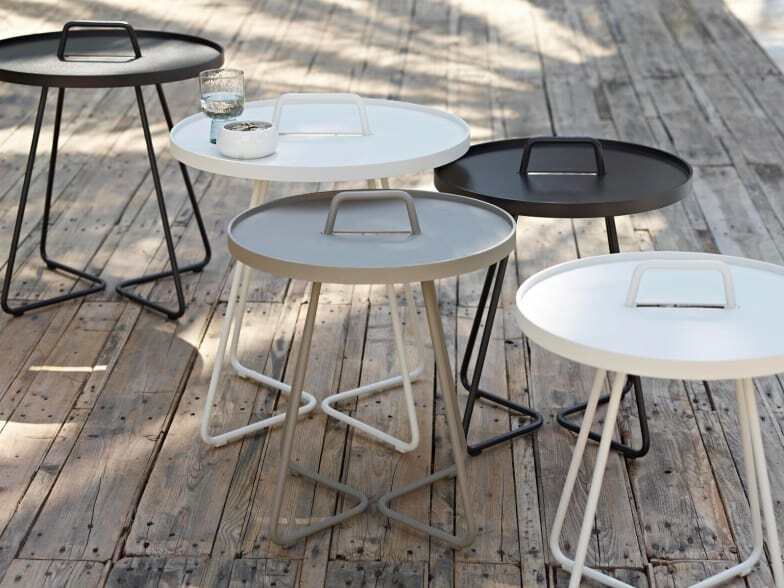 Trendy small side table that can convert from side table to a handy tray in no time. Cane-line is a Danish design company that has been in business for 25 years. We are specialized in hand-woven materials, water- and weatherproof furniture. To all designers, the design and expression of every single piece of furniture matter, but at Cane-line comfort is as much a core issue. All furniture of the Cane-line outdoor collection is UV-resistant, colourfast and resistant to water and frost damage. Do you have a question about "On-The-Move"? How can we contact you?